In 1992 and 1993 the trio performed widely with Robert Fripp and Trey Gunn as part of the Robert Fripp String Quintet. The group gained wider exposure and wowed a receptive audience performing in support of King Crimson's Thrak 1995 Summer Tour across North America and Europe. 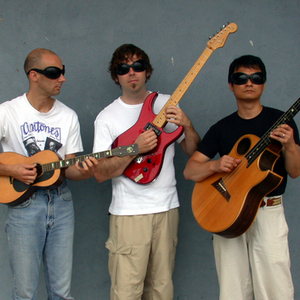 With a whirlwind of instrumental styles fusing classical, rock, blues, jazz, world music, bluegrass, as well as the quintessential California musical genre surf music, the California Guitar Trio's stunning virtuosity and sly sense of humor have earned them a rabid following and wide notoriety, with significant crossover in the progressive, acoustic and classical music scenes. Over the past 12 years of nearly incessant touring, the California Guitar Trio has shared the stage with superb musicians and performers such as: The Andreas Kapsalis & Goran Ivanovic Guitar Duo, King Crimson, John McLaughlin, David Sylvian, Tito Puente, Leftover Salmon, Taj Mahal, Steve Lukather, Simon Phillips, Adrian Legg, Enchant, and many more.